Hanoi (VNA) - Vietnamese artist Le Thuy will show her silk paintings at a solo exhibition in ION Art Gallery, Singapore, from September 1-24. The exhibition, called Chon khong nguoi (Uninhabited), includes nine paintings that Thuy drew after she won the Young Talent Programme 2016/17, held jointly by ION Art Gallery and The Affordable Art Fair Singapore. Thuy is one of the three winners who will display her work at the winners’ solo exhibition at ION Art Gallery; the other winners are Wei Li Leow and Tay Ining. For her solo show, Thuy worked closely with curator Seah Tzi-Yan to further hone her skills and technique. 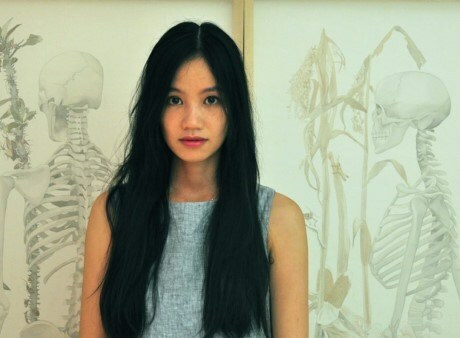 Born and raised in the central province of Thanh Hoa, Thuy graduated from the Vietnam University of Fine Arts in 2013. As a student, she was actively involved with a mobile group of artists who moved around seeking emotion for creativity and art. Thuy is familiar with rural Vietnamese landscape and people’s daily lives, which she depicts in her paintings done on traditional silks. “I use silk because it is the typical material of the East. For me, silk is not just soft but also mysterious. I use silk to weave my stories,” the young artist said.